Looking for new cars in Wichita? 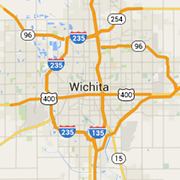 Check out Wichita's new car dealers for new and used cars, trucks, vans, jeeps and more. Wichita's best auto dealers are here.